If you thought the Christmas traffic jams are bad, it’s nothing compared to scenes in the Netherlands where white extremists have blocked a highway to keep protesters away from a parade with ‘blackface’. They weren’t the only protests against the protest. 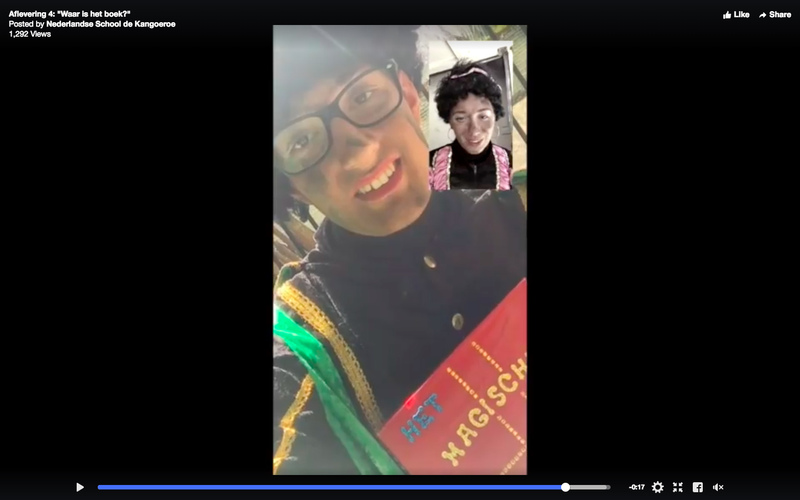 In Utrecht, Netherlands, supporters of the blackface tradition burst into a primary school and allegedly told teachers ‘to go back to your own country‘. Let’s take a step back because this highly contentious and culturally embedded argument has been going on for years and is thought by many across the country, to have links to racism and slavery. 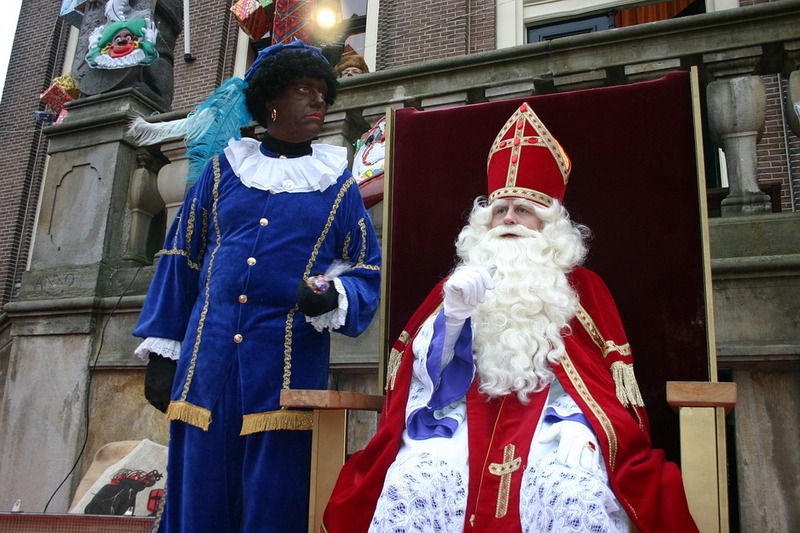 In the Netherlands they have a Christmas tradition which a little different compared to anything in the UK – their version of Father Christmas has a little helper called Zwarte Piet – Black Pete – and in the run up to Christmas, people dress up as him – in blackface. In a Lowlands tradition dating back to the late 19th century, Christmas for children comes early, as on December 6 Sinterklaas sails up from Spain – if you’re good you get presents and sweets and if you’re naughty, Black Pete might give you coal? Or worse… in the old days, he’d kidnap you, but they’ve got rid of that bit now! 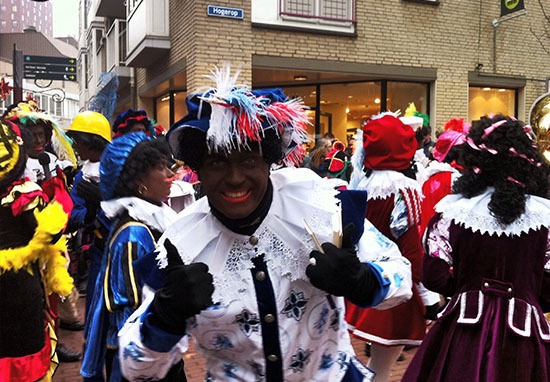 From November to early December, hundreds of Dutch men and women dress in blackface, with curly wigs and bright red lipstick, appearing in parades and making school visits to give out treats to kids, while shops stock up on costumes and merchandise, National Geographic reports. 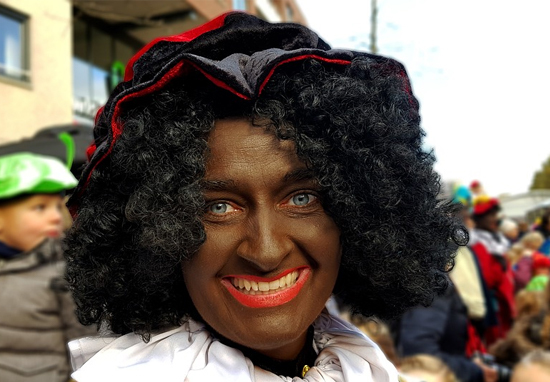 People in the normally liberal Netherlands are now providing a resistance against the blackface tradition in a movement called ‘Zwarte Piet is Racisme’. 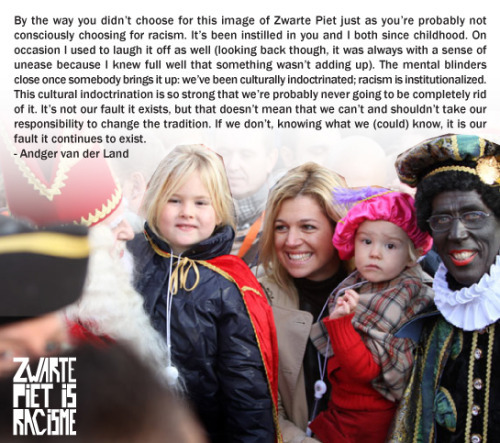 It started in 2011 when Quinsy Gario, a Curaçao-born Dutch performance artist attended a Sinterklaas parade wearing a T-shirt stating: ‘Zwarte Piet is Racisme’ – he was subsequently arrested for causing a disturbance. Every story has a starting point and for this, it was the moment my mother called me one day and told me a colleague had named her Black Pete. She had just gone outside and when she came in, her colleague, in front of her customers said: “We were already wondering where our Black Pete was and there you are.” She was not surprised, [but] hurt and insulted. After this incident, in my poems I began to stop references to the absurdity and racism of Zwarte Piet. It was my way to let people know at unexpected moments it was no longer possible in the Netherlands. In October 2013 Quinsy appeared on Dutch TV’s most popular talk show to make his argument public, by the end of the month he’d made international news. We’ve lied to ourselves about our tolerance for so long that we don’t recognise discrimination anymore. There has been structural exclusion of minorities for decades. You have third- and fourth- generation people who see it as their own country and they want to take responsibility for their own and their kids’ sake. The same year he addressed 300 supporters in Amsterdam saying ‘it’s no longer possible to accept racism in the Netherlands in 2013’ The Telegraph reported. By 2015 the UN had got involved, asking the Dutch government to get rid of the racially charged character, declaring it a ‘vestige of slavery’, reports The New York Times, which was dismissed. The government said it would promote the debate, however ‘uncomfortable’. Efforts were made to diffuse the situation with the Petes being dressed in different colours and face paints, using the argument his face is black from descending down chimneys, to avoid claims of racism. A poll of 272 of the 388 Dutch municipalities this year resulted in 239 saying they’d stick with the tradition. 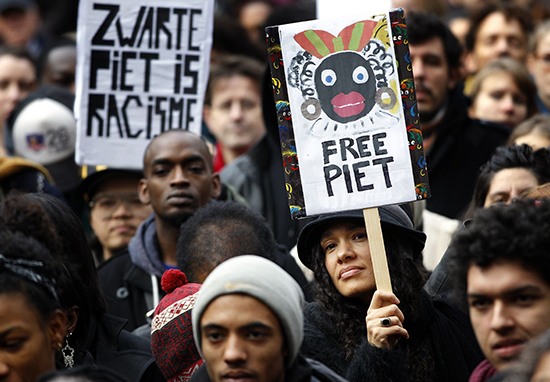 In Australia the expatriated Dutch community has this year experimented with Roetveeg Piet or Smudge Pete, however opinions are still divided on either side of the debate, SBS Dutch reports. Yet when speaking with the Australian broadcaster, he slipped up almost immediately, referring to ‘black’ Petes, and admitted it’s a habit hard to break. 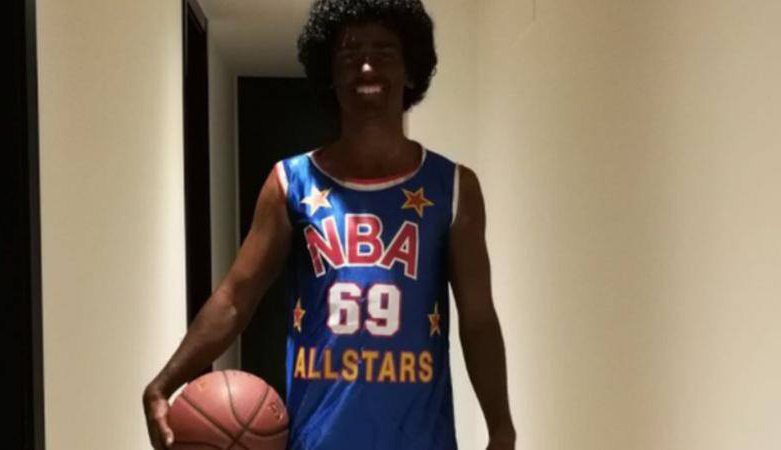 You only need to look towards the recent actions of French international footballer Antoine Griezmann who’s received criticism of his own, after blacking up for a 1980s themed fancy dress party and then posting a photo to Twitter. In a now deleted tweet, Griezmann responded to the backlash with the message: ‘Calm down everyone. I’m a fan of the Harlem Globetrotters and this is a tribute’ BBC Sport reported. I recognise that it was insensitive on my part. If I have offended some people I apologise. There are so, so many different options for an 80s party, or a night out at the darts for that matter, that don’t involve blackface. I can’t believe we’re out here in 2017 saying don’t dress up in blackface. Fans of Manchester United, the team Griezmann has been linked to as a transfer target, have come out on Twitter to show he’s no longer welcome at the club, with Barcelona now becoming strong favourites to sign the French striker. The difference between one man’s tasteless and thoughtless actions and that of a nation shows the scale of the challenge taking place within an entire country. 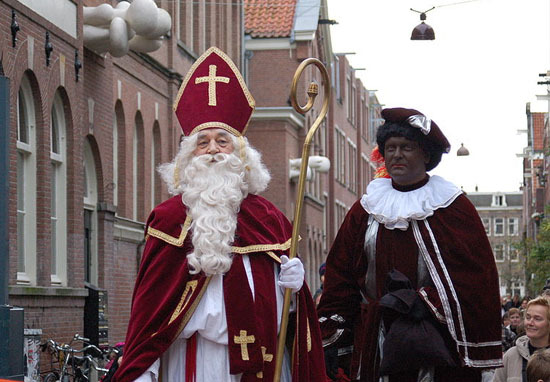 However, for the Netherlands and its long held Christmas tradition, the tolerance of those ‘blacking up’ for Christmas towards those they are racially, historically and culturally offending looks like it will need more time to be seen for what it is: outdated and racist.